Tristar Products is committed to providing the best products and friendliest customer service. If you should have any questions about ordering or a question about any of our great products. Please feel free to email us to info@tvcustomerinfo.com and we will respond as soon as possible. Emails will be answered during business hours from 9 am - p.m. Monday- Friday. Tristar Products has opened a new website just for you – our customer. You can quickly check order status, billing information, how to use your product, fun recipes and even see special offers. Click on www.tristarcares.com and choose your product or option from our easy to read menu. This website is available 24/7 to allow you to look for a recipe, how to videos and product hints and tips. For your convenience, you can check order status from this page as well. Simply click www.customerstatus.com 24/7, to view current order information, including shipment information. 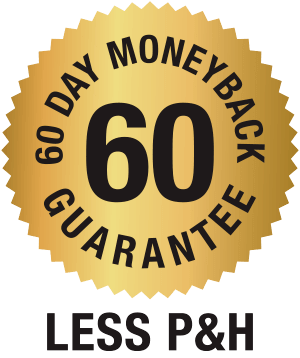 Your order is covered by our 60-Day Money Back Guarantee which starts upon your receipt of your order. If for any reason you would like to replace or return your product within 60 days of purchase, call customer service at 1-973-287-5108 to receive a return merchandise authorization number (RMA). With this RMA, you can return your items to the address provided below for a replacement and incur no additional processing and handling fees for the replacement unit or refund of your purchase price, less processing and handling. You are responsible for the cost of returning the product. If you would prefer to request your return merchandise authorization number by email, you can email us at info@tvcustomerinfo.com Provide your name, address, phone # and email address and reason for return.